Q: Why are pirates called pirates? Ahoy! 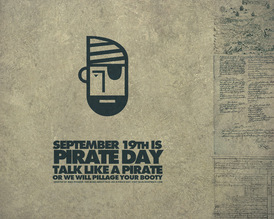 me lubber, go smartly and pillage ye self a fine wallpaper from this scallywag. Arrrr I’s missed it, damn this land lubber cold.